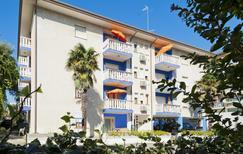 Holiday complex on the western shore of Lake Garda. 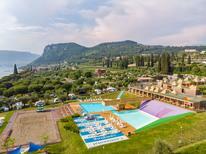 Lake Garda | A vacation in a holiday park is particularly ideal for families. As parents you can lean back and relax whilst your kids are taken care of and are fully entertained. View from a terrace of a holiday apartment for four people in Atrani. Amalfi Coast | The Amalfi Coast stretches from Salerno to Positano with its steep cliffs, romantic beaches and villages embedded in slopes. 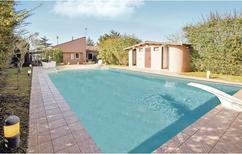 We offer you holiday homes with direct view of the coastal panorama. 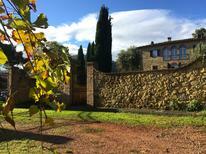 Country estate for 4 people in the hills of Chianti. 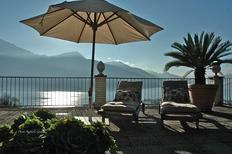 View of Lake Como from the terrace of an art nouveau villa for eight people. Lake Como | Amid the alpine scenery lies the Lago di Como. 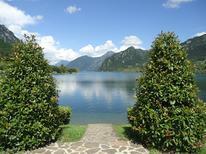 Enjoy spectacular views from a holiday home that overlooks the lake. Holidaymakers have awarded an average of 4.9 out of 5 possible points to this country estate in Tuscany. Whether you’re in Tuscany, at Lake Garda, on the Adriatic, the Riviera, Sardinia, Sicily or the Amalfi coast – you’ll find the top-rated holiday homes in Italy here. "We had a beautiful vacation in a splendid scenery!!!." wrote a satisfied atraveo customer about this holiday apartment for six people. Dolomite Superski | Alta Badia, Cortina d'Ampezzo, Fassatal and much more. In total there are twelve ski regions with more than 1,200 piste kilometres making Dolomiti Superki one of the biggest ski regions in Italy. Beach near a holiday park in Bibione. 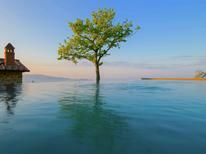 ​Italian Adriatic | Whether it’s Veneto, Emilia-Romagna or Marche - the Adriatic beach is waiting. Let your feet sink in the sand, sunbathe and enjoy an ice cream on the promenade. 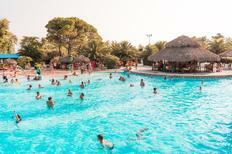 A holiday house in Italy costs on average GBP 830 in the cheap travel period and GBP 1,335 in the peak season per week. These details are of course in relation to the house and not per person as well as includes the obligatory additional charges. atraveo is partner of the Italian Tourist Board. Baedeker recommends atraveo: Baedeker Allianz Travel Guide – Italy 2010, page 126. Baedeker recommends atraveo: Baedeker – North Italy 2013, page 124. For years now Italy has topped the popularity charts of holiday home tourists. In 2011 every fourth atraveo vacationer spent their holiday in Italy. Equally the first weeks of the current booking season are clearly indicating that the home of pizza and pasta will retain its top position and remain the most booked travel destination. Thanks to the diversity the country has to offer vacationers are able to find a new dimension on each holiday they spend here. Italy, one of the world’s great countries, is as varied as it is beautiful. In this country, you can place yourself in incomparable natural beauty, explore some of the world’s finest and most sophisticated cities, enjoy the simple pleasures of traditional Mediterranean life, or simply set yourself up at the beach and soak up the rays. In short, Italy is a destination that allows travellers to create a holiday that suits them. When you book a holiday home or holiday apartment in Italy, you’ll be placing yourself to discover all there is to love about the boot shaped country in southern Europe. There is no single one thing to do in Italy; it is far too varied for that. In the Tuscany region, you can explore some of Italy’s most famous cities and attractions, including the stunning city of Florence and the leaning tower of Pisa. If nature is more your thing, rent a holiday home or holiday apartment in the north of the country and spend your days discovering the picturesque areas of Lake Garda and Lake Maggiore. Elsewhere you can see signs of typical Italian life and also enjoy sunshine and great beaches, such as in the coastal towns of the Italian Adriatic Coast, Sardinia, and Sicily. Italy is a huge country with many different climates. Depending on where your holiday home or flat is, you may find yourself surrounded by snow or mild temperatures, a rainy season or great year-round weather. The peak season lasts from May to September when there is nice weather country-wide. To beat the crowds and excessively hot temperatures, especially in the south, try to visit late spring or early autumn.